There's something special about homemade ice cream that defies explanation. Making it is a fun indoor family event, and inventing different flavours, good or bad, is something your children will remember for years to come. Nothing says summer better than cold, creamy ice cream – even if it's ketchup-flavoured! Most purveyors of this homemade treat divide it into two categories: custard-style made with eggs, and plain, or American-style, made without eggs. Both taste different and preference for one or the other is a matter of taste. Both adapt well to different flavours and added ingredients. Ice cream makers can be either hand-churned or motorized, and what you choose to purchase depends on your own style. Some people don't see the point of spending half an hour or so churning away, others think that leaving it all up to mechanics takes a lot of the fun away. If your children are small you will be doing most of the churning yourself, so keep that in mind! Most ice cream makers today have built-in freezers that keep the concoctions cold as they churn. In the past, those units had to be kept in the freezer overnight before use. Having one that does not require freezing is handy if you plan to make loads of ice cream batches in a single day. Older models, or more traditional ones, also require the use of surplus ice and rock salt to keep the ice cream cold. Think beforehand about your family's requirements before investing in a maker. Making ice cream the old-fashioned way is a great pastime – but play it safe. Make sure the eggs you use are from chickens that have been vaccinated against salmonella to avoid the risk of disease. Don't forget, raw egg yolks and the summer sun can be a lethal combination! If a recipe calls for alcohol, only use a little. 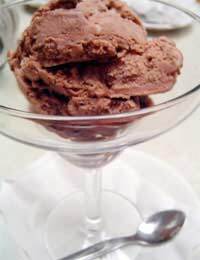 Too much can impair the ice cream's ability to freeze. Containers that are both shallow and flat are best for storing ice cream in your freezer. Only keep them for up to a week or they will begin to lose some of their smooth consistency. Don't forget that many ice cream makers will also allow you to make gelato and frozen yogurt, low-fat treats for adults! If you don't want to invest in an ice cream maker, this is the easiest way of making ice cream. This method is especially good for younger children, who will have the fun of doing most of the work themselves and getting immediate results. First, add one tablespoon sugar to ¼ cup milk and ¼ cup cream in small seal-tight plastic bag. Then add ½ cup rock salt and ice to larger plastic bag. Finally, put smaller bag into larger one and shake vigorously for five minutes. You will have a bag of vanilla-flavoured ice cream to enjoy, and if you have a cone handy you're all set to go to town. Experiment with different flavours then add sprinkles, crushed biscuits, Smarties or other confectionery on top. Eat and enjoy! Making ice cream the old-fashioned way is a fantastic summer activity for the entire family. And when it's pouring outside and the kids are chomping at the bit, this indoor event should keep them busy – and happy – for hours.